The plot of A Simple Plan initiates with the simplest of premises and most relatable of fantasies: found wealth. Three men hunting in the snowy woods of Minnesota happen upon a downed private plane in whose wreckage is discovered a dead pilot and a bag containing $4.4 million in cash. Reasoning that no one is likely to lose that kind of money without someone eventually coming to look for it, Hank (Bill Paxton), the most level headed and intelligent of the trio, suggests they alert the authorities and hope for a reward. But motivated by chronic unemployment and an inability to fully grasp all that’s at stake, the remaining two discoverers: Jacob (Billy Bob Thornton), Hank’s slow-witted older brother, and Lou Brent Briscoe), Jacob’s equally slow-on-the-uptake best friend--argue that such a sizable cash sum MUST mean the money is drug-related and therefore less likely to be reported as lost or missing; and so vote instead to keep the money and split it three ways. Hank, outnumbered, already an accomplice, and swayed by circumstances of his own—his job is dead-end and his expectant wife Sarah (Bridget Fonda) is due any day—agrees not to report the money on the proviso it remains in his possession and they do nothing until enough time has passed to assure no one is looking for it. But in this contemporary morality tale, if good fortune opens the door by awarding these men “The American dream in a goddamn gym bag,” then the trio’s fatal flaw proves to be their failing to heed the dark omen augured by such a stroke of good luck coming at the cost of someone’s life (the anonymous pilot). Once the deal to keep the money is struck, the group (which now has come to include Hank’s wife, Sarah, exhibiting heretofore-untapped reservoirs of resourcefulness and guile) is soon beset by a veritable Pandora’s Box of disasters born of bad judgement, greed, mistrust, and betrayal. Combine the intricate plotting of Alfred Hitchcock with the psychological complexity of Claude Chabrol, and you’ve got an idea of how deftly A Simple Plan mines both the suspense and moral ambiguity in a group of otherwise decent people entering into a hastily-conceived plot to stealth away a fortune in ill-gotten gains. But as much as the film’s plot makes for a roller-coaster thrill ride of unforeseen obstacles and grievous, sometimes fatal, errors in judgment; it’s the complicated, contradictory impulses of its characters—their individual personalities, motivations, and interrelationships—that give the film its most memorable jolts of knots-in-the-stomach intensity. Merging elements of plot-driven genres like the crime thriller, the heist film, and the murder mystery, A Simple Plan’s unique perspective distinguishes itself in never feeling as though the machinations of plot and genre are the forces moving the characters along. Everything that happens—even those events furthest beyond the scope of the expected—feel like the organic, inevitable consequence of the combustible, putting-out-fire-with-gasoline interactions and personalities of individuals forced by circumstance into an unlikely, unlucky alliance. I’m not overly familiar with the work of director Sam Raimi. Fans of the director will cite his series of Evil Dead cult films, but of the director’s to-date 15 feature film releases, I’ve only seen The Gift (2000) and Spiderman (2002); two films I can’t for the moment recall a single detail about, other than Spiderman’s upside-down kiss (which is pretty cool) and that staring thing Tobey Maguire does. My sense is that I’ve either been missing out on a lot, or A Simple Plan represents Raimi at his best. The only thing that stops me from calling it a perfect suspense thriller is that I don’t believe in perfect. I can’t find fault in any aspect of it. I saw A Simple Plan when it was released on DVD in 1999 not long after Billy Bob Thornton lost that year’s Best Supporting Actor Oscar (the film’s sole acting nod) to James Coburn in Affliction. Drawn to the film because of the raves I’d heard about Thornton and his physical transformation, I was instantly caught up by the overall (I hate to overuse that word) simplicity of the premise and how, by giving the story the affecting intimacy of a character study, resulted in something so fresh and unexpected. Raimi builds suspense like a master (to often unbearable levels) overlaying small-town details in character and setting with a well-sustained tone of enveloping dread and tragedy. Contributing significantly to the latter is the how keenly a sense of atmosphere is established, and how evocatively the bleakness of winter in a small, rural town is conveyed. I credit Raimi with giving his film a look representative of what its nearing middle-age characters’ lives must feel like: constrained, hemmed-in, and as anchored as the figures in a snow globe. As Sarah brutally lays out in a scene of clear-eyed, the die is cast when it comes to what possibilities life holds for these average, unexceptional people. Many scenes begin with shots of vast, icy stillness or crow’s-eye-views of limitless banks of snow and nothingness that make you shiver just looking at them. Even at the very start of the film, when the streets are adorned with Christmas decorations, and Hank walks with a lightness we’ll never see again; at no time is the snow made to appear picturesque or poetic. 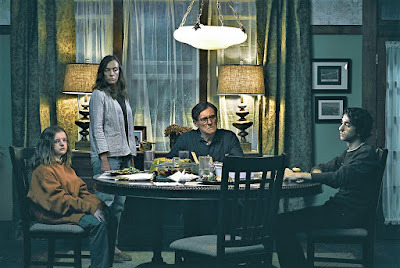 From the frosted windows, slate-gray skies, and characters swathed in layers and layers of insulated clothing (even indoors); the weather is presented as another character in the story: severe, isolating, and suffocating of life. Credit must be given to first-time screenwriter Scott B. Smith who, in adapting his first novel (which, ironically enough, started out life as a screenplay and earned him an Oscar-nomination, to boot), writes with an economy that suggests he has lived with these characters a long time. Paring down his 1993 novel to the bare bones of its suspense-thriller structure, Smith writes in a visual, non-static style that is ever on the move. 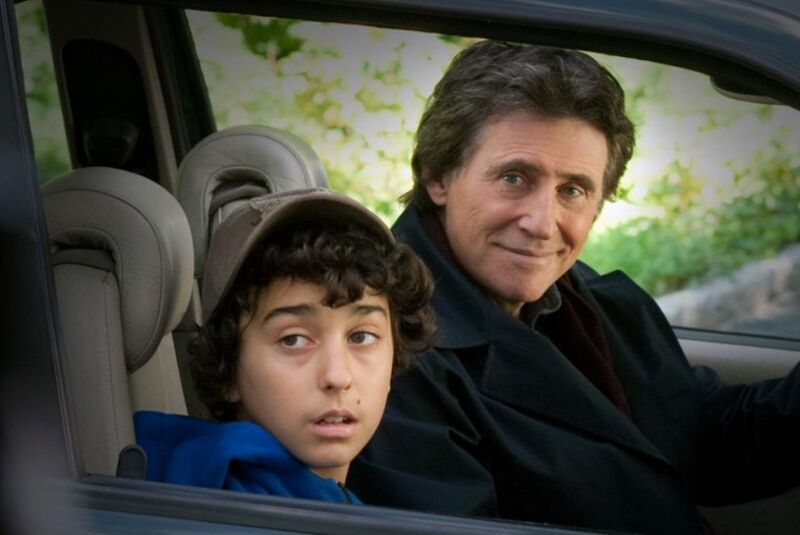 The riveting narrative flows easily from plot twist to plot twist, never once feeling contrived or labored. Best of all, he manages to do so while keeping the film’s central focus on the disintegrating relationships between the characters and the telling ways they respond to having their theoretical (superficial?) morality tested by a real-life moral dilemma. Without the benefit of much in the way of backstory, Smith’s characters, whether in moments of monstrous callousness or pitiable despair, are granted a level of humanity lacking in the novel. A grace attributable to the truly outstanding performances of the film’s cast. Bill Paxton and Billy Bob Thornton (who appeared together in 1992’s One False Move) share a symbiotic anti-chemistry as the brothers with nothing in common “…except maybe our last name.” The late Bill Paxton, whose settled-in boyishness lends his Hank the look of a self-disappointed fair-haired child, is all agitated exasperation and impatience in his scenes with Thornton. College-educated and preppy fastidious next to the town’s hayseed casual, one senses Hank enjoys feeling like the civilized big fish in a little pond. Paxton taps into the seeds of dissatisfaction lying just the below surface. It's no mistake he was so often cast as likeable characters, for he radiated an openness and accessibility. But he was also such a talented, dimensional actor. Personal fave Bridget Fonda (Single White Female), exuding almost Shakespearean-levels of steeliness, proves to be as much of a surprise and dramatic force to be reckoned with as Thornton. From the moment her character is introduced we’re made aware of how smart she is, but as the promise of “what can be” comes to poison her tolerance for “what is,” she morphs into a domestic underworld mastermind…like Carroll Baker running that all-lady hit squad out of her kitchen in Andy Warhol’s BAD. Brent Briscoe as the oafish Lou is a Master Class lesson in how to play a stock character with dimension and detail. Pouring a lifespan’s worth of resentment in the way he unfailingly refers to Hank as “Mr. Accountant,” Briscoe has a pivotal drunk scene that calls for whiplash shifts from jocularity, betrayal, heartsickness, desperation, and rage. It’s a stunning bit of character work. Billy Bob Thornton pulls off something similar, but on a much more heroic scale, with his brilliant turn as Jacob. True, it’s become an Oscar-bait cliché for an actor to deglamorize, adopt intellectual disabilities, or lose themselves under pounds of prosthetics, but to draw such a parallel here would seriously dishonor Thornton’s remarkable portrayal. In showing us the man behind the loser’s countenance, Thornton sidesteps the easy pathos, revealing Jacob to be one of the least self-deluded characters in the film, and one wholly lacking in self-pity. One of A Simple Plan’s many twists is the upending of the expectation that the relationship of these polar-opposite brothers might bear a trace of a George and Lennie Of Mice and Men dynamic. Far from it. 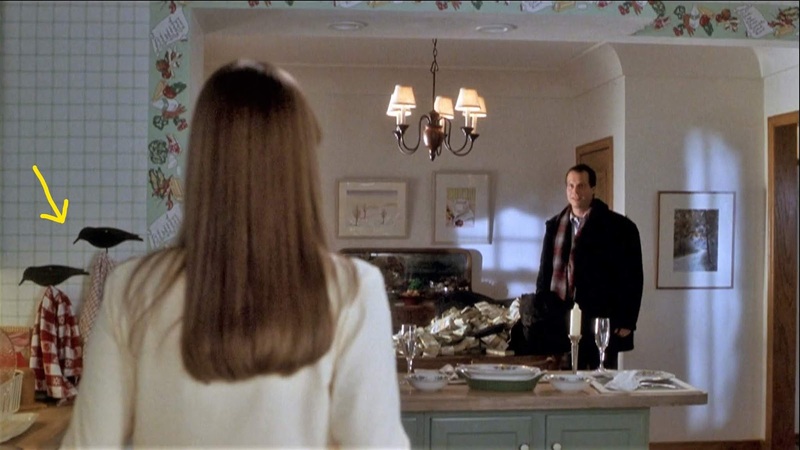 In a particularly uncomfortable scene (exceptionally well-played by Paxton), the casually supercilious Hank learns that Jacob not only mocks him behind his back, but regards him with a level of disdain that borders on contempt. I think one of the major reasons I love movies about “plans gone awry” is because I’m a control freak and lifelong non-joiner who goes out of his way to avoid groups, teams, and collaborations of any kind. These movies confirm my worst fears. My favorites: Silent Partner (1978), Before The Devil Knows You’re Dead, (2007), What Became of Jack and Jill? (1972), Jackie Brown (1997), The Killing (1956), Fargo (1996), and Séance on a Wet Afternoon (1964)—all have in common the human error factor (misunderstandings, temperament, trust issues) and that magical interactive phenomenon wherein the filmmaker manipulates the viewer’s identification-with/sympathy-for its protagonists. "Did you tell him about the plane?" A major thrill to had in watching A Simple Plan is getting caught up in the yo-yo pull of being initially drawn to one character, only to be confronted with something unsavory and suddenly having your sympathies shifted elsewhere. The trick of making the viewer complicit in a crime is nothing new (Hitchcock’s Psycho); but the quality of performances in A Simple Plan adds so much depth to the characters that you’re apt to find yourself wrung out and in an emotional heap by the film’s crushing conclusion. The first words spoken in A Simple Plan belong to Hank, recounting in voiceover something his late father (a simple farmer who lost his land to debt) once said to him about what it takes for a man to be happy: “A wife he loves, a decent job, friends and neighbors who like and respect him.” Hank, in carving out a life for himself substantially more advantaged than that of his parents, has attained all of these. Sure, his wife helps make ends meet by working at the library, and his accounting job at the local feed mill offers little chance for advancement; but with a wife he loves, a nice home, and a baby on the way, Hank has attained a humble share of the American Dream. But alas, built into the American Dream is a paradox: a reverence for achievement, ambition, and accumulation that’s at fundamental cross-purposes with being content with what one has. I mean our culture has devised names for people who are happy in their lot…we call them slackers and underachievers. However, few equally disparaging words exist for those who devote their time to amassing obscene levels of wealth they could never spend in several lifetimes. A Simple Plan’s brutal and poignant subtext touches upon the moral distinction between need and want, and the kind of ethical questions voters never seem to ask themselves when making choices for personal financial security that will detrimentally impact the lives of the most marginalized and vulnerable. When is the cost of personal happiness too high a price to pay? As each news day brings with it increasingly disheartening evidence of America’s rapidly disintegrating moral compass; as absurd and corrupt “leaders” normalize justification and deception while distorting the values of truth and honesty in the interest of money and power; I’m afraid A Simple Plan already reveals itself to be a bit of a timepiece in suggesting that the loss of one’s humanity is a loss of considerable significance. Mr. Schmitt, a disgruntled customer accusing Hank of faulty bookkeeping, was played by John Paxton, the 77-year-old father of Bill Paxton. John Paxton died in 2011.